What does it mean to become and work as an artist today? What unique challenges do artists face in the twenty-first century, and what skills are required to overcome them? How might art become an expression of spiritual life? In addressing these and other questions, Deborah J. Haynes offers reflections that range from the practical to the deeply philosophical. She explores challenging ideas: impermanence, suffering, and the inevitability of death; the virtues of generosity, kindness, and compassion; and more abstract concepts such as negative capability, groundlessness, and wisdom. Individual chapters are framed by personal stories and images from the artist’s work. 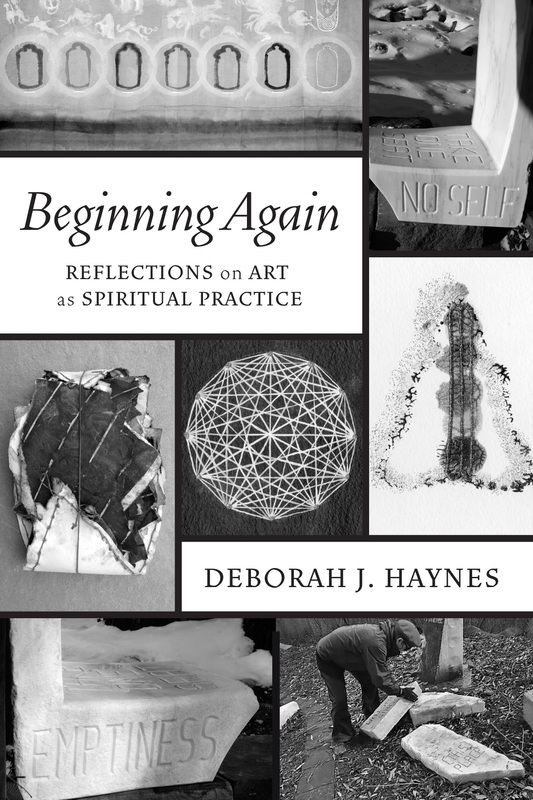 Beginning Again: Reflections on Art as Spiritual Practice is a personal statement, born from the author’s experience as an artist, writer, teacher, and Buddhist practitioner. Haynes writes for artists–and for all exploring the relationship of their creativity to the inner life. For Haynes, making and looking at art can be a form of meditation and prayer, a space for solitude, silence, and living in the present.